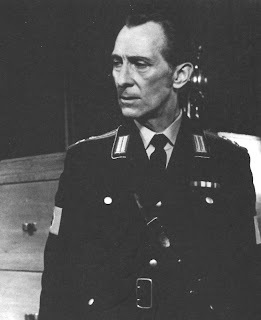 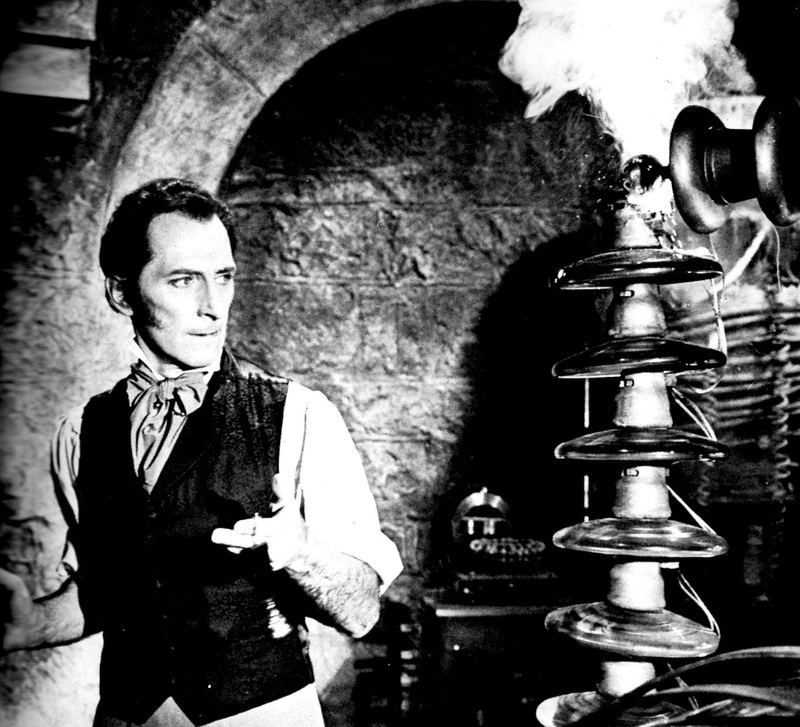 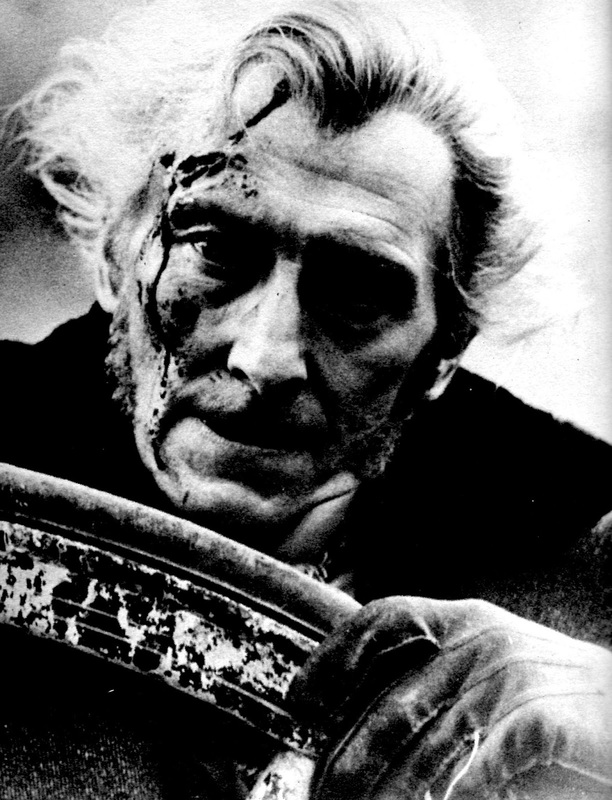 Peter Cushing had a birthday yesterday, May 26 (born 1913); today, May 27 is the birth date of 2, count 'em, 2 horror icons - Vincent Price (born 1911) and Christopher Lee (Sir Christopher, born 1922). 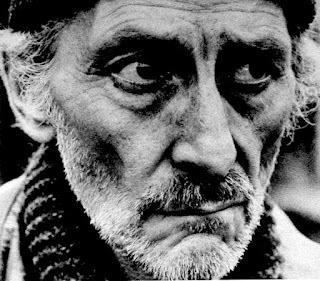 I understand that Mr. Cushing was one of the sweetest, nicest, kindest actors ever, the kind of guy who made tea for his movie double when the man was not feeling well. 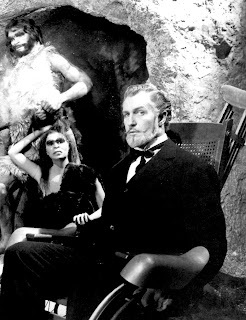 Boris Karloff also was a sweetie. 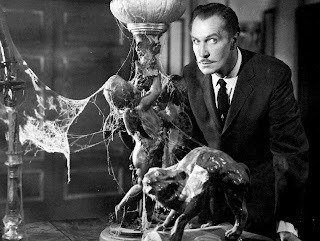 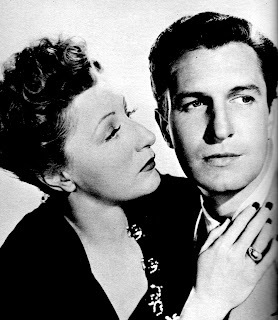 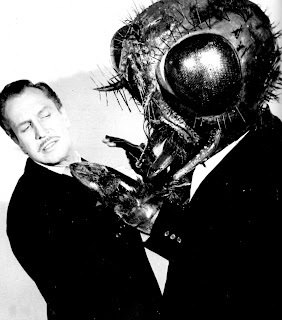 When Vincent Price came along he gave the others a run for their money for the title of greatest gentleman in the movies. 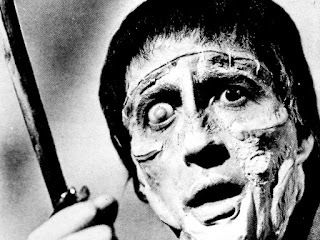 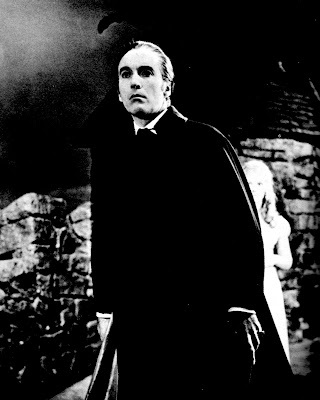 Christopher Lee as well. He sounds like a genuine class act. To all of you gentle gentlemen,...we miss you. 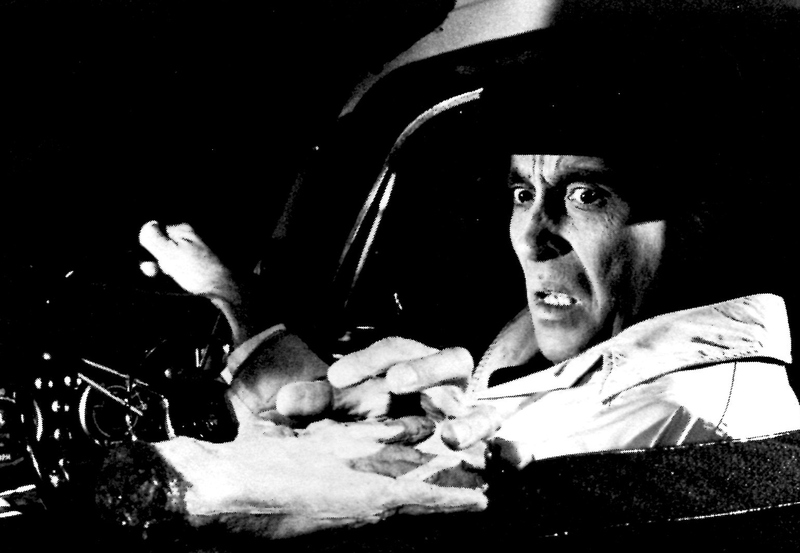 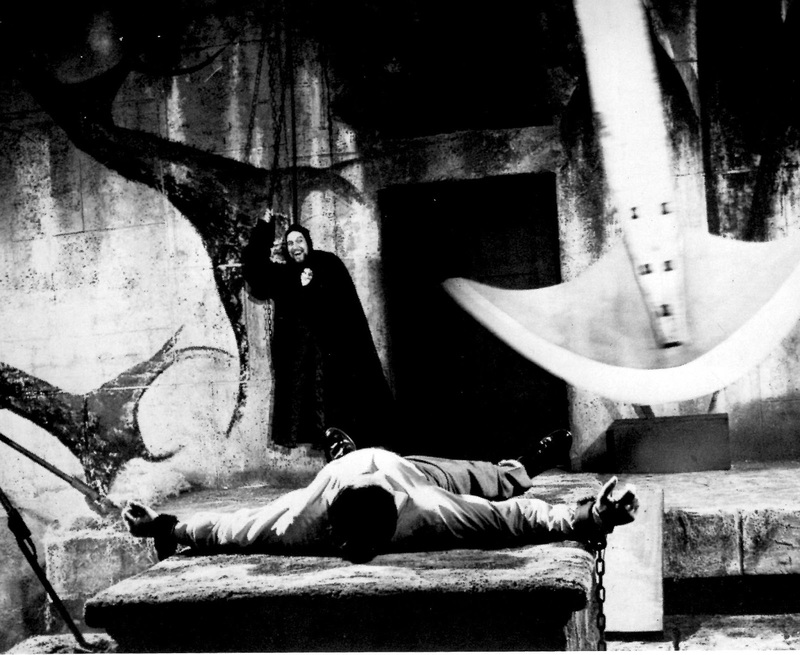 the above pic from "Scream and Scream Again" - 1969. 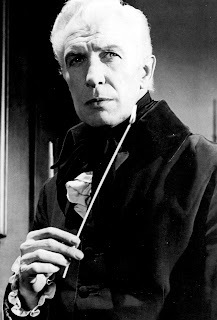 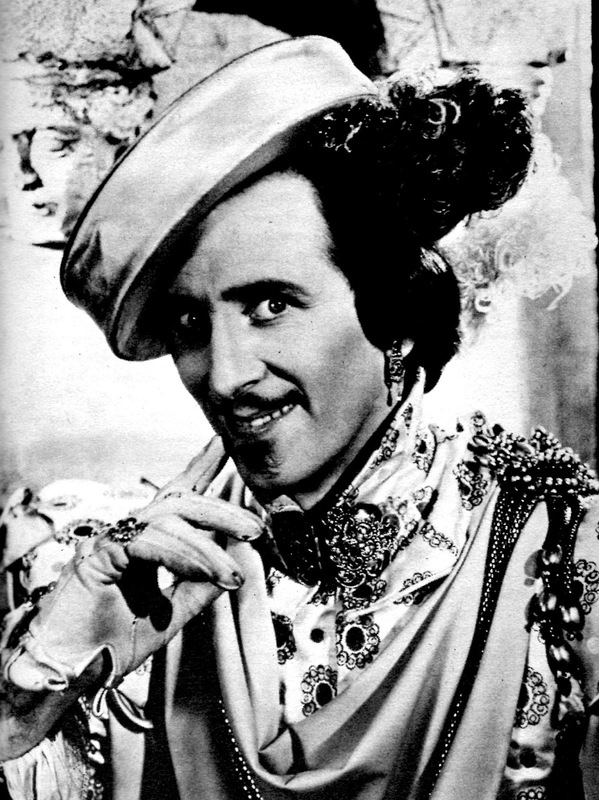 Vincent Price and Christopher Lee also had very small roles. from "The Fly" - 1959. 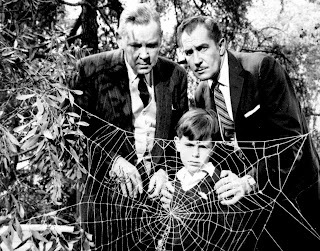 Vincent Price and Herbert Marshall had to do their takes for this scene back to back, because they could not look at each other and say their lines about the fly in the spider web without cracking up laughing. 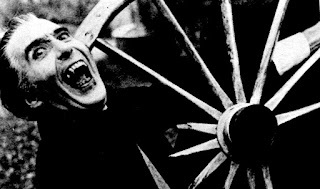 from "Dracula A.D. 1972" - 1972. 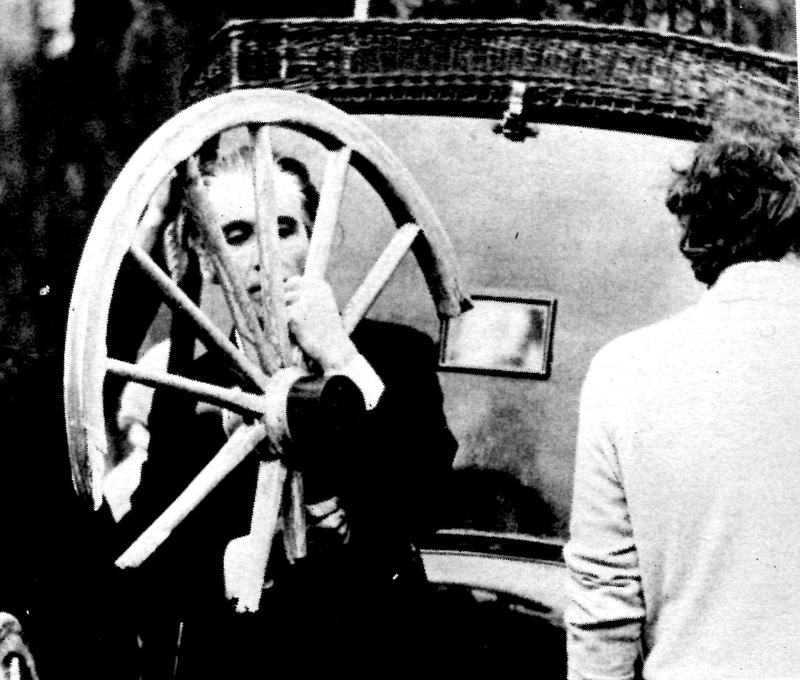 Getting ready for the shot. Or should I say "stake". 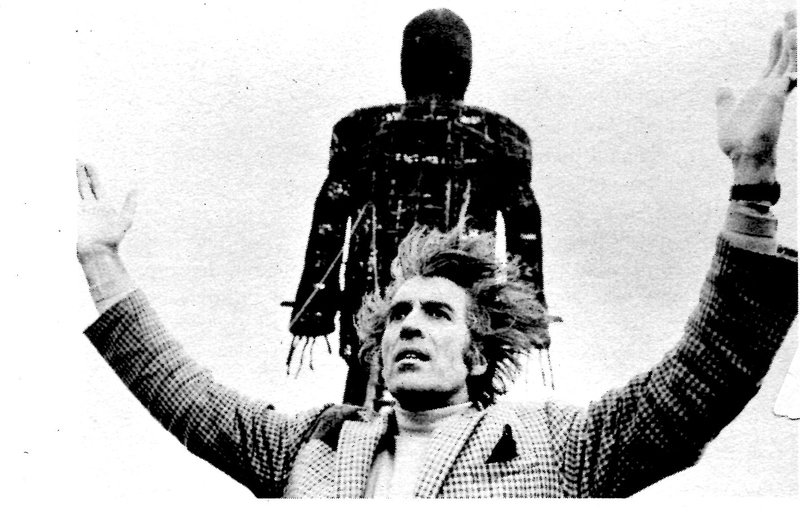 "The Wicker Man" - 1973. Lee is on the far right, in the dress. 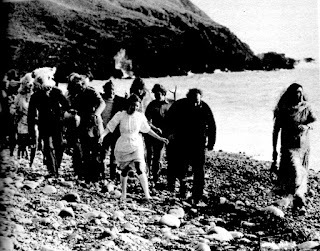 from "The Wicker Man" - 1973.